You may have heard of a little game called Minecraft which is apparently quite popular these days. It may be a all the rage, but how could it be made better? 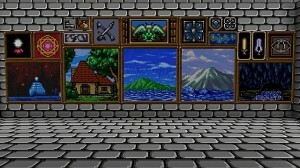 With Shining Force textures, of course! Mythra13 has released a texture pack for Minecraft that makes everything more Shining style, so now you have no excuse for not recreating the entirety of Granseal in block form. This texture pack includes plenty of changes, including dirt and grass textures, as well as a rather cool Max skin for the main player. Check out the forum topic for more screenshots and videos of it in action. Note: We originally attributed this texture pack to another Minecraft user who was taking credit for the work of Mythral13. Our sincere apologies to Mythral13 for this error. Yesterday saw Shining Force Central updated with a brand new redesign. Not only does it look fantastic, but there’s a lot of updated content to be found too. It’s great to see that Shining fans still have reasons to be cheerful, and it really shows how strong the fanbase is. Now stop reading this and check out the new design! It’s no secret that recent Shining games have been somewhat disappointing. Many of us have fond memories of the original strategy games, but lately the series has shifted to a more action oriented format. 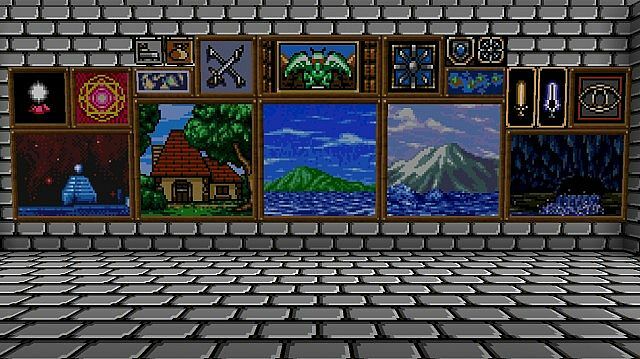 There’s a new campaign at Shining Force Central, aimed at showing Camelot how much we love the classic Shining Force games. Make sure you show your support! After much work by z80 and further efforts from the peeps at Shining Force Central, we are now able to enjoy the goodness of a translated Shining Force: Final Conflict! For more information, please refer to this page! Full thanks goes out to nuckles87 from Dreamflint/DcD for this contribution! Not! Enter Shining Force Neo. Bet that title gave you Shining Force fans a fright! But don’t worry your poor heads, it’s not a cancellation. Just a name change. Sega’s upcoming PS2 RPG, Shining Force, has been renamed “Shining Force NEO”. However, it’s gotten more then a minor name change. It’s now in a whole different genre. Rather then the strategy RPG Sega had originally announced, NEO will now be taking an action oreinted angle. Now, I am sure a lot of you Shining fans are going “What the $%&#!?”. Well, let me explain. Well actually, let the producer, Youichi Shimosato, explain. In a recent interview with the Japanese game magazine Famitsu, Mr. Shimosato explained what drove his team to change the direction of the game. SF was originally meant to be a simulation/strategy RPG like the original Shining Force. However, the team felt it wouldn’t be enough to just remake the original into 3D. At first, they considered making the game a real time strategy game. After a lot of thought and changes, Shining Force turned into an action RPG, and obtained the name “Neo”. Shining Force Neo will be very different from other Shining Force games. Max, the main character from the original Shining Force, will be the remain the primary character for Neo. Max can be equipped with four different weapons, each giving Max a different strategic ability. You can make him a knight, which will give him a sword in one hand and a shield in the other. This will enable boost Max’s defence. Arming him with a bow will make him an archer, allowing him to deal strong attacks from a distance. Give Max a large, heavy blade, that requires him to use both hands to weild, and you will make him a warrior, able to take down multiple foes with a single deadly swipe. Lastly, the staff will turn Max into a sorceror, allowing him to use various magical spells, that change depending on the staff that is used. In addition to these weapons, Max wull also be able equip a “Force Frame”, an add-on that will give a weapon more abilities when used. You can change the kind of powers your FF has by using Force Art symbols, which are powered up by the force energy of defeated enemies. In addition to all of these force based things, Neo will also have the standard RPG exeperience and level-up set up. From the looks of it, Shining Force Neo is the first very promising game we’ve seen from Sega in awhile. This will definetly be more of an action based affair, but will that turn out to be good or bad? Only time will tell. Sega has some very strong voice talent behind the game and has many veteran developers working on the game. So with any luck, Shining Force Neo will live up to it’s namesake. We shall see when the game arrives in Japan, March 24th. Shining Force Neo will be released as a manga comic in next months issue of the japanese magazine Magazine Z to help promote the game. It will follow it’s own storyline, but will contain the same world and characters of Neo. Well, that is all for now. And I managed to get through the whole thing without cracking a Star Wars based force joke. ‘Til next time, may the shining force be with you!